You’re not a stranger to the common cold. Viruses will come and go, and as long as you drink plenty of fluids and get in a good cup of chicken soup here and there, the symptoms will pass as quickly as they arrived. Sinus problems are not the same though. If you feel like you’re constantly congested, you may have to visit the ENT. Here are 5 of the most common sinus issues we see coming through our office and some of our usual treatment options. Sinusitis is a very common sinus issue that’s generally defined as a swelling of the tissues around the sinuses, but may, indeed, indicate. While a simple infection may last only 2-4 weeks, chronic sinusitis, which may be caused by some of the conditions listed below, can last several months. If the infection is bacterial, your ENT can offer you antibiotics. 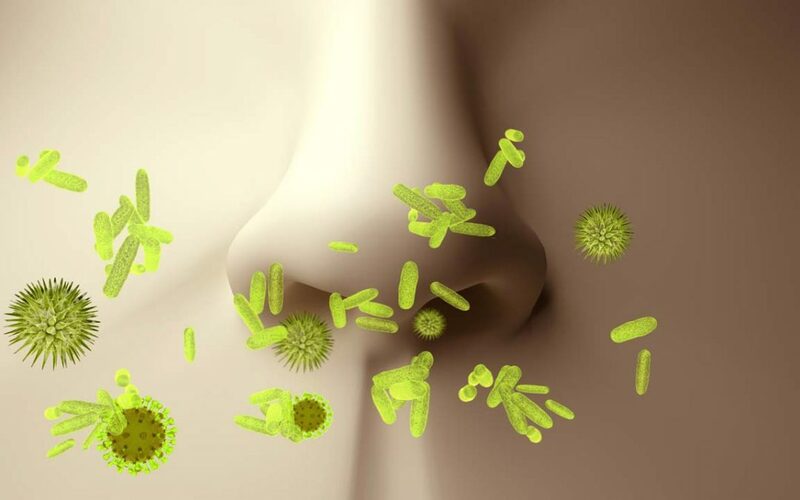 If the infection doesn’t go away on its own though, your physician may discuss more intensive treatment options such as the non-invasive balloon sinuplasty procedure. Nasal polyps are soft, small, non-cancerous growths that form inside the nasal passages when they are inflamed for some reason or another. You may not even notice small polyps, but large ones may cause congestion and breathing problems. If you notice cold-like symptoms without a fever that persist for longer than 1-2 weeks, you may be suffering from nasal polyps. These growths can be easily removed with surgery, but may return if they area is constantly infected. If the cartilage and bone that divides your two nostrils is slightly crooked, it can obstruct your breathing and cause repeated sinus infections. A deviated septum is usually associated with a post-nasal drip, snoring, headaches, nosebleeds, facial pain, and congestion. Sometimes medication will prove to be sufficient; however, in more severe case, a surgery known as septoplasty is necessary to provide lasting relief.